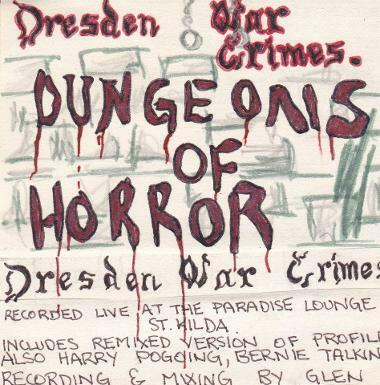 Formed in 1979 by Graeme Wood and Greg Osborne, Dresden War Crimes started gigging under the name of Bombs Over Dresden in 1980. Meredith Simpson soon replaced Melinda on keyboard and clarinet and Rick Hastewell joined on Bass. They changed the name to Dresden War Crimes later in the year and Charles Meo (The Ears) replaced John on Drums, thus completing the line-up. 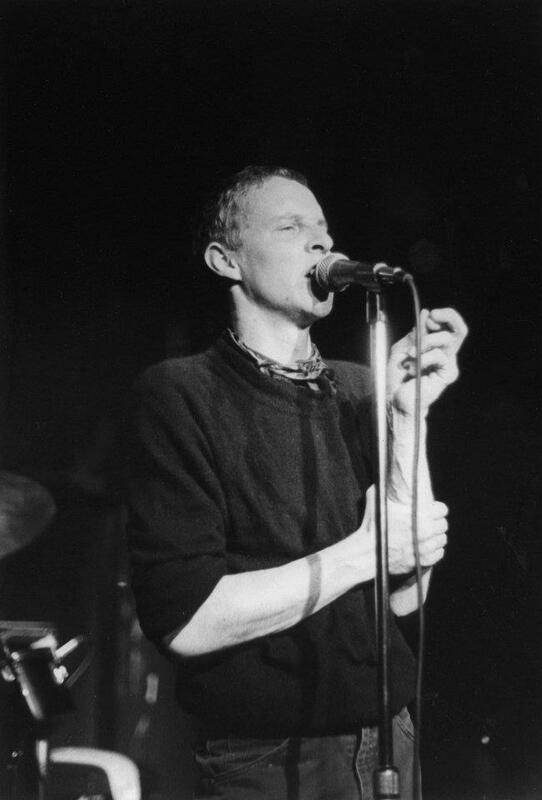 The band played Emo Goth Pop long before anyone new what it was, by blending Joy Division and Killing Joke with a distinctly Melbourne quirkiness. They recorded a live album at The Seaview Ballroom in 1980 called 'Dungeons of Horror' and released one EP (Cassette only) in early 1981 titled 'Out of Character' before breaking up later the same year. 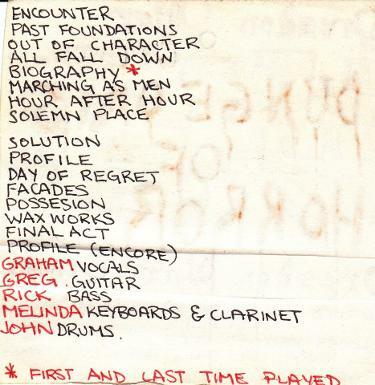 The cassette was recorded on a 4 track at Yarrabeat (the band's house/rehearsal studio at 26 Clarke St Northcote) and the band sold 650 tapes, enough to make their money back. 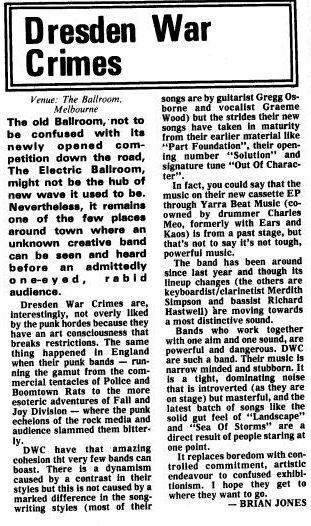 Rick Hastewell went on to play with Sing Sing, Beachouse, Polar1500, Skippy the Butcher and STB. Charles Meo went on to play with Wailing Wall, Olympic Sideburns and Taking the Veil. Greg added a g to his name (Gregg), formed Sing Sing with Rick and then the Tucker Brothers. Graeme moved to jazz and film and Meredith was never seen again. 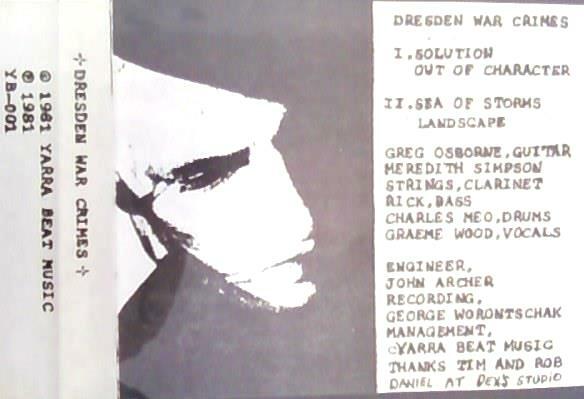 Dresden War Crimes line-up included: Graeme Wood - Vocals, Gregg Osborne - Guitar, Melinda - Keyboards/Clarinet, Meredith Simpson - Keyboards /Clarinet, Rick Hastewell - Bass, John - Drums, Charles Meo - Drums.